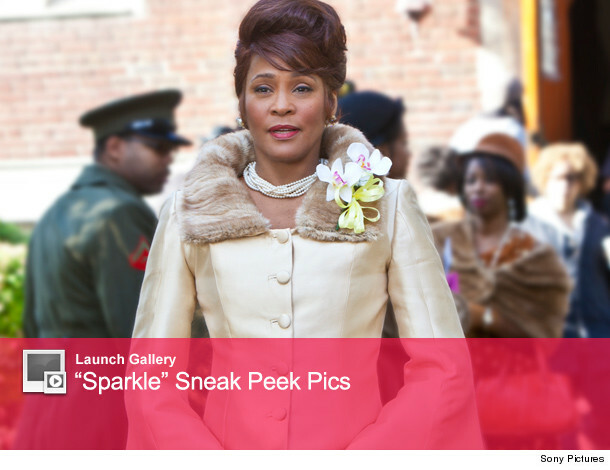 Whitney Houston: See First Trailer for Her Final Film "Sparkle"
Whitney Houston was staging a comeback before her death with a remake of the movie "Sparkle" -- and today, we're getting our first look at the trailer. According to the official synopsis, "Musical prodigy Sparkle (Sparks) struggles to become a star while overcoming issues that are tearing her family apart. From an affluent Detroit area and daughter to a single mother (Whitney Houston), she tries to balance a new romance with music manager, Stix (Derek Luke) while dealing with the unexpected challenges her new life will bring as she and her two sisters (Carmen Ejogo and Tika Sumpter) strive to become a dynamic singing group during the Motown-era." The film is a remake of the 1976 flick starring Irene Cara. According to producers, Whitney was a complete professional on set during filming. Check out some promo pictures from the movie below. Whitney Houston's Death: Cocaine in System, Family "Saddened"